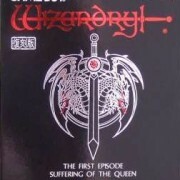 More Wizardry Gaiden ! Ripped recently this time, from Kingshriek‘s GBS archives. edit: “Actually, the rips were done by anonymous 2CH ripper (and later reripped from GBR to GBS by ugetab). Kingshriek did the GBS from Wizardry 1-3 remakes, not the gaiden ones.” Thanks Knurek ! It appears the links are down for this collection.